Introducing New model William Optics Dura-Bright diagonal - a dramatic step forward in the evolution of mirror diagonals! This 90° 1.25"mirror-type star diagonal has a Dura-Bright thick mirror and dielectric mirror coatings for 99% reflectivity which provides higher contrast and resolution during critical planetary, lunar and binary star observations. 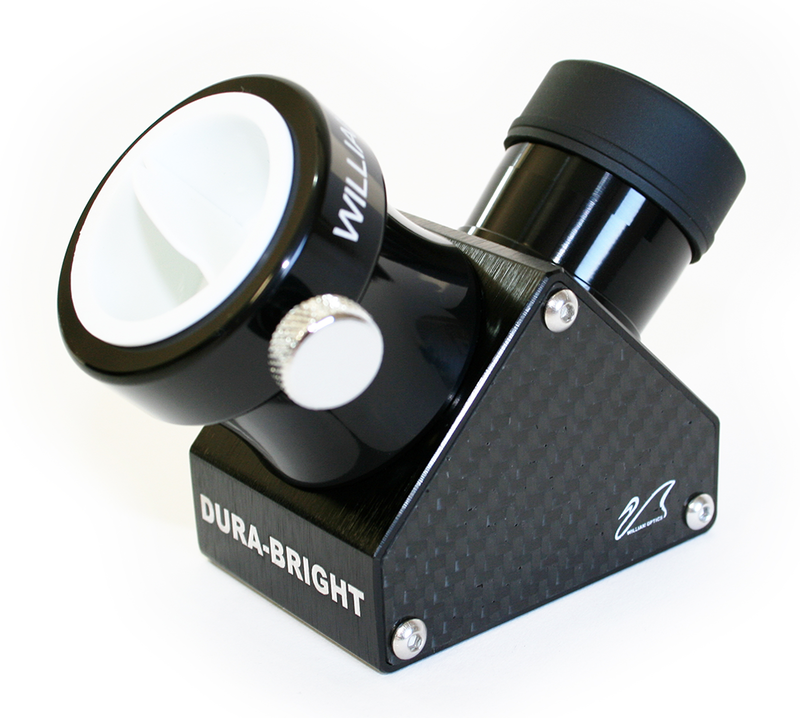 The WO 1.25" Dura-Bright Diagonal was designed with several unique features to provide optimum performance and years of use. • Polished to 1/10th wave accuracy*. 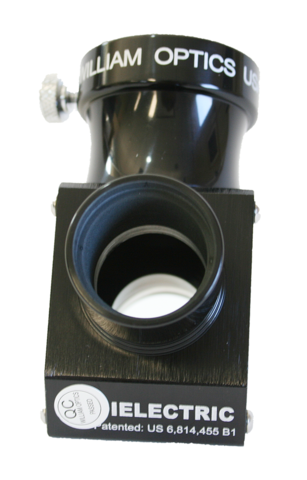 • Accurate design guarantees constant alignment. No further alignment needed. 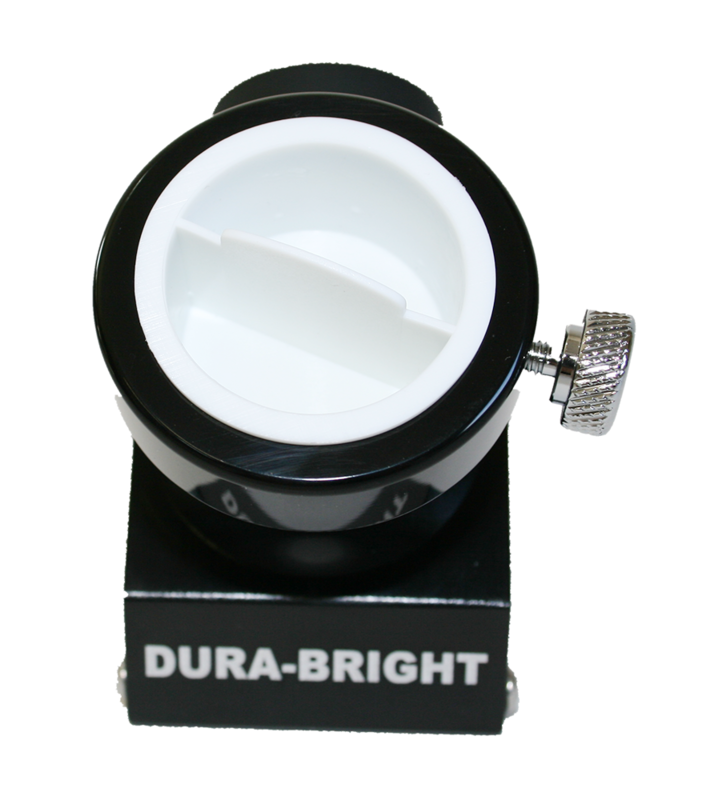 • Lock screw for eyepiece/adapter. • Big, knurled thumbscrews are easy to turn even with gloves on. 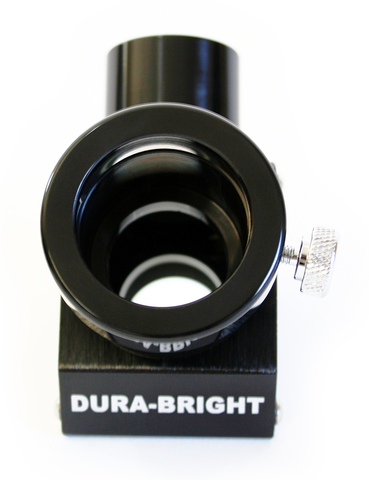 • Compression rings (both on diagonal and adapter) to prevent barrels from marring. • Internal safety stop prevents 1.25" barrels from hitting the mirror.